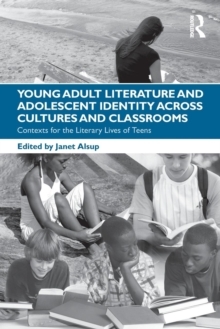 Taking a critical, research-oriented perspective, this exploration of the theoretical, empirical, and pedagogical connections between the reading and teaching of young adult literature and adolescent identity development centers around three key questions: Who are the teens reading young adult literature? Why should teachers teach young adult literature? Why are teens reading young adult literature? All chapters work simultaneously on two levels: each provides both a critical resource about contemporary young adult literature that could be used in YA literature classes or workshops and specific practical suggestions about what texts to use and how to teach them effectively in middle and high school classes. Theorizing, problematizing, and reflecting in new ways on the teaching and reading of young adult literature in middle and secondary school classrooms, this valuable resource for teachers and teacher educators will help them to develop classrooms where students use literature as a means of making sense of themselves, each other, and the world around them.